Are you good at thinking outside the box? What does that even mean? As a tester, it’s your job to think of the things that others don’t. The reality is that there are many ways that people, even very smart people, can make really big mistakes. These mistakes can lead to massive problems. Problems that, after they appear in a live production environment, can seem obvious (how could you miss that one ?!). But they were clearly not obvious before they happened. How do smart people make such big mistakes, and why do smart testers not spot them? In this session, we will take a look at some of the biggest software bugs in history, and ask how we, as software testers, could have detected or prevented these errors from happening. Not just by testing. We can only find bugs if we run the right test cases. The question is, how can we discover the test cases that nobody else thought of? Hindsight is 20/20 vision, as they say, and it can be great fun to look back and feel smug as we spot the obvious flaws that led to a catastrophe. But we have to remember that there were lots of smart people involved in these projects, and they made those mistakes. So what can you do to build up your resistance to making big dumb mistakes? Systems thinking is an approach to understanding complex systems. Systems thinking means understanding a system by examining the linkages and interactions between the elements that compose the entirety of the system. It can be a big help in understanding complex systems and to predict how they might fail. In this session, we will look at some Systems Thinking tools and techniques that you can use to look at a system, a process, or a product in fresh new ways and see the complexities in the system that can lead to dramatic failures. Systems thinking may not solve all your problems, or turn you into a testing superstar, but it will certainly give you a very sharp edge. Mark Irvine is a career tester with over 15 years’ experience. He is currently Head of QA at ClaimVantage, a leading provider of automated, cloud-based Life, Health and Absence claims management software solutions for the global insurance industry. Previously, he was Head of QA at BearingPoint Consulting where he was responsible for setting the strategy for continued growth and development of the QA team, and for delivering large scale business transformation projects across a wide range of industries. Mark specialises in building QA teams and processes from the ground up. In his current role at ClaimVantage, Mark is again building a brand-new QA team and putting in the tools and processes to enable ClaimVantage to continue to deliver high-quality products. When he isn’t building the world’s next top QA team, Mark likes to get lost at the top of a great big hill, preferably one with a great little pub at the bottom. 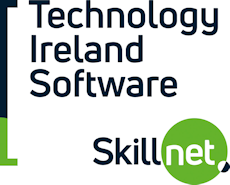 Many thanks to our 2018 Sponsors Deloitte, SQS, Test Triangle, Technology Ireland Software Skillet & Sogeti for their support. The 2019 UKSTAR Software Testing Conference will take place in London from 11th-12th March next year and the Committee (Anne-Marie Charrett, Bill Matthews and Dan Billing) are calling for speakers to join their already impressive line-up. Over two days, you will have the opportunity to join Keynote Speakers; Fiona Charles, Angie Jones of Twitter, Bas Dijkstra and Amy Philips of MOO and engage with 400 attendees. Sessions on the topic of Automation, that help us understand how are we using automation to help solve testing challenges; perhaps over-reliance on automation, what lessons have we learned, how do we use automation to help us test smarter, faster, and sharper. Sessions around the idea of the “ Modern Tester ”. What are the skills required to thrive as a modern day tester in Agile, DevOps and Waterfall type projects. Can you share your experiences of testing technology trends such as AI systems, Blockchain, VR/AR or IoT? Finally, and importantly Leadership. How to we lead the development of such skills, processes and technologies? What are you and your organisation doing to support the learning and adoption of such technologies and skills? How has the role of leadership been impacted by automation and what are your organisations doing in anticipation of increased automation? Call for Speakers closes 14th September 2018.